Great new books keep showing up. Despite the hassles of too much snow and a few too many irons in the fire, I’m thrilled to sneak away for a bit and dip into brand new releases. These are three that I’ve been waiting for, and now that they are available, they seemed to make an interesting set to tell you about this snowy day. 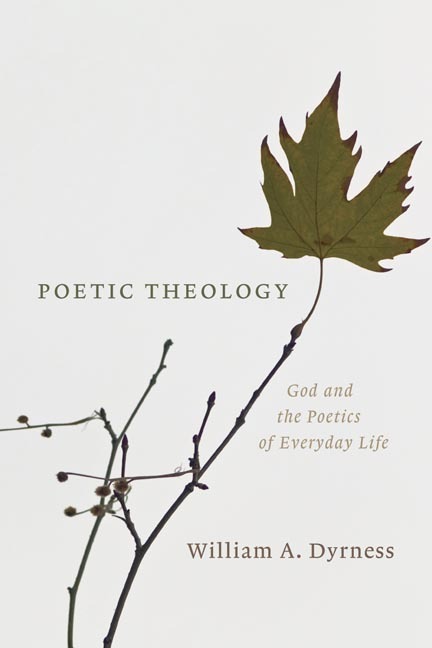 PoeticTheology: God and the Poetics of Everyday Life William A. Dyrness (Eerdmans) $26.00 I know the very word “aesthetics” may sound highbrow to some, and the discipline is–once one gets beyond saying that God cares about creativity and the arts—is known for obtuse writing and nettlesome quandaries. Yet, Dyrness, as always, has an eye to everyday life and how an openness to allusiveness (as Seerveld puts it) and experiences of beauty can help us frame meaning, honor God, and move towards personal flourishing and social transformation. This is a heavy book in many ways, but is a treasure to behold. A simple but elegant cover, spectacular prose, and serious footnotes, all make this a reader’s delight. Anyone interested in the best of culturally engaged contemporary theology will love it, I am sure. Anyone interested in the arts, aesthetics, beauty and the like should consider it a “must read.” It is a very important contribution. A few of these chapters have appeared in slightly abridged forms other places, in academic journals in the fields of systematic theology and aesthetic theory. (Dyrness wrote the entry on “The Arts” in the Oxford Handbook of Systematic Theology.) And some chapters are adapted from lectures, at places as diverse as Dubuque Theological Seminary, Covenant College and a missionary conference in the Philippines. Bill Dyrness is professor of theology and culture at Fuller Theological Seminary (the most multi-cultural seminary in the world, I’ve heard, and a thoughtfully evangelical one at that! And they most likely do the best work on the arts at their Brehm Center, of any seminary anywhere.) He has been active in good conversations and leadership in faith-based arts groups such as CIVA, IAM, and the Calvin Institute of Christian Worship. I like that he has done serious scholarly publishing (such as Reformed Theology and Visual Culture on Cambridge University Press) and thoughtful, mid-range stuff for the educated layperson, pastor or serious undergrad (Visual Faith: Theology, Art, and Worship in Dialogue published by Baker.) This wonderful collection is formed with obvious great care to create a coherent case, nurturing a theology of desire and delight and is at once both scholarly and readable, academic yet truly enjoyable. I am especially impressed with the breadth of his investigation. Dyrness tells stories of ordinary folks who find great meaning in the beauty of nature–people who ski or fish–and he is fluent in the latest, mainstream theological renderings about aesthetics, from Paul Ricoeur to David Bentley Hart to so many others. He even devotes good space to the tradition that has most influenced my own thinking on these things, tracing the ideas of Dutch statesman Abraham Kuyper through philosopher Herman Dooyeweerd, on to Calvin Seerveeld, Nicholas Wolterstorff and Jeremy Begbie. Poetic Theology is not about poetry, as such, and moves fluently from theology to social life and the arts, from ritual worship to ordinary sensual experiences, from Reformed spirituality and Protestant piety to important insights about cultural reformation and God’s restoration of creation. Mark Burrows of Andover Newton Theological School notes that this great book “reminds us that truth itself is beautiful to behold and poetic to the core…Dyrness’s call for a poetic theology is one we ignore at our peril, reminding us that faithful living is not only about proper thinking but also–and, perhaps, more properly–about the texture of our living and the quality of our loving.” Hooo-ray for that! Indeed, the joyful Christian apologist (whose book on Jesus, The Everlasting Man, help convert C.S. Lewis and whose book Orthodoxy so shaped Yancey) was a voice against the secularism and muddled views of his age. He often debated the cranky George Bernard Shaw, yet his charm was irrepressible. Belmonte writes, “Their worldviews were as different as their physical appearance: Shaw, the rail-thin ‘heathen mystic’; Chesterton, the rotund, Johsonian champion of orthodoxy.” He continues, noting Shaw’s tribute after Chesterton’s death, “Shaw had a ‘deep affection’ for his departed friend, which was warmly returned. He mourned Chesterton’s loss greatly.” Shaw wrote to G.K.’s widow (aware that Gilbert, as he called him, hadn’t watched his money carefully) and offered her financial support. In his final letter, he made a lovely allusion to The Pilgrims Progress, in an example of what Belmont calls “great tenderness.” “The trumpets are sounding for him,” Shaw said. Yes, the great G.K. Chesterton fought the culture wars with charm and grace and wit and intelligence. He loved many (he was quite the fan of Mark Twain) and met many more (he had an important encounter with Winston Churchill, for instance.) We could all learn from this man who was known for his great appetites, charming stories, extraordinary journalistic output and well-argued orthodox theology. 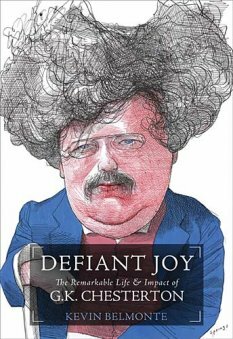 There are other biographies of the curious Chesterton (The Outline of Sanity is a standard) but this looks like a perfect, serious, yet easy-to-read work. I can say this, also. Kevin Belmont is a rigorous historian and fine writer. Before the popular Amazing Grace movie about Wilberforce gave us the recent Amazing Grace biography by Eric Metaxas, Belmont’s William Wilberforce: Hero for Humanity was surely the finest Wilberforce biography available and is happily still in print. He has done some other very nice, brief biographies, and we think he’s an author you should know. Certainly he is well matched with this topic, and seems to be the perfect man for the perfect Chesty book. I’m enthralled with the footnotes, even—including a stunning expose of an unfounded Chesterton rumor!—and know that I will learn much when I read this more carefully. I am sure you will, too. The Quotable Chesterton: The Wit and Wisdom of G.K. Chesterton compiled by Kevin Belmonte (Thomas Nelson) $15.99 What more can I say? A lovely companion volume, jam-packed full of aphorisms, sayings and witticisms, helping readers dip in and appreciate this prolific patron saint of good writers. His knowledge was immense and his interests as wide as life. He has been considered a true master of the essay form, and a brilliant genius. Over 850 entries. Gilmour (WJK) $15.00 As you probably know, we here at the shop have been fond of this series that the Presbyterian Church (USA) press has done, starting with the million-selling Gospel According to Peanuts by Robert Short in 1965. The series got new life with the fantastic Gospel According to The Simpsons, and continues strong doing faithful cultural criticism, both trying to determine what “the gospel” (as in “the message of…”) the person in question might be, and how it does or doesn’t compare to the Biblical gospel of Christ. A few are fairly critical of their topics (The Gospel According to Oprah and The Gospel According to Disney come to mind.) The authors are always well versed in their field, and some, especially so—the remarkable Steve Turner on the Beatles, say, or fanboy Greg Garrett on U2–and this is doubtlessly true in this case. In fact, I might wager that this may be the best volume in the series; Gilmour is as insightful a Dylanologist as I’ve seen anywhere, amazingly well versed in the music, concerts, bootlegs, liner notes, interviews, and the books by and about Mr. Zimmy. (I’ve been reading the esteemed and often perplexing collection Bob Dylan by Greil Marcus: Writings 1968-2010, by the way, and this, frankly, is much more rewarding.) Faithful to Dylan’s own sense, I’d guess, Gilmour makes much of the ambiguities in the narratives and demanding art of Dylan, and emphasizes the ways in which the work functions as it is received by the listener. That is, he isn’t making a simple case that Dylan believes this or that theological proposition and insists that listeners discover insight and even religious meaning in their own (communal?) hearing. This isn’t going to please everyone, and although the author is a New Testament professor, he doesn’t do much obvious Biblical reflection here. He does, however, have a fascinating book enumerating the many Biblical allusions in the Dylan oeuvre; see his Tangled up in the Bible: Bob Dylan in Scripture (Continuum; $21.95.) Professor Gilmore also wrote, by the way, a very thoughtful book which we stock published by Baylor University Press ($19.95) called Gods and Guitars: Seeking the Sacred in Post-1960s Popular Music. This is a rare book amid the proliferation of Dylan literature—a thorough read of the rich, playful, and unruly theological imagination of Bob Dylan. Gilmour doesn’t simplify, classify, or categorize, recognizing that faith for Dylan may be more about wandering than standing still. Beyond all the good Dylan stuff, it is an intelligent exploration of how meaning is generated, and how popular culture provides religious experience. 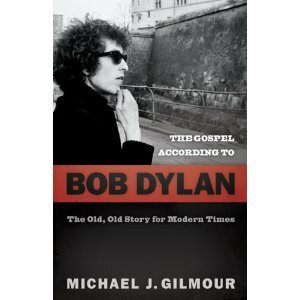 Dylan fans won’t want to miss it, but anyone interested in the intersection of faith and culture should read it. I had forgotten that “Everlasting Man” had that much of an influence on C.S. Lewis. My favorite scenes from that book are his telling of the Christmas and Easter stories. I have given my copy of “Everlasting Man” to a few of my friends and frequently find myself perusing it when I notice it on my bookshelf.